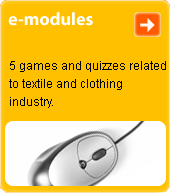 clothing accessory which is a rectangular piece of textile fabric. Worn around the neck as a protection against cold, or as a decoration. Produced from woollen, cotton, and silk fabrics. Sewn in the shape of a hollow strip, and has fringing at its ends. S. can be one-colour or printed, in a gaily-coloured weave or a knit. It has its origins in India. In the Kashmir s. were produced from fine wools; the genuine cashmere s. reached Europe in the times of the directorate.